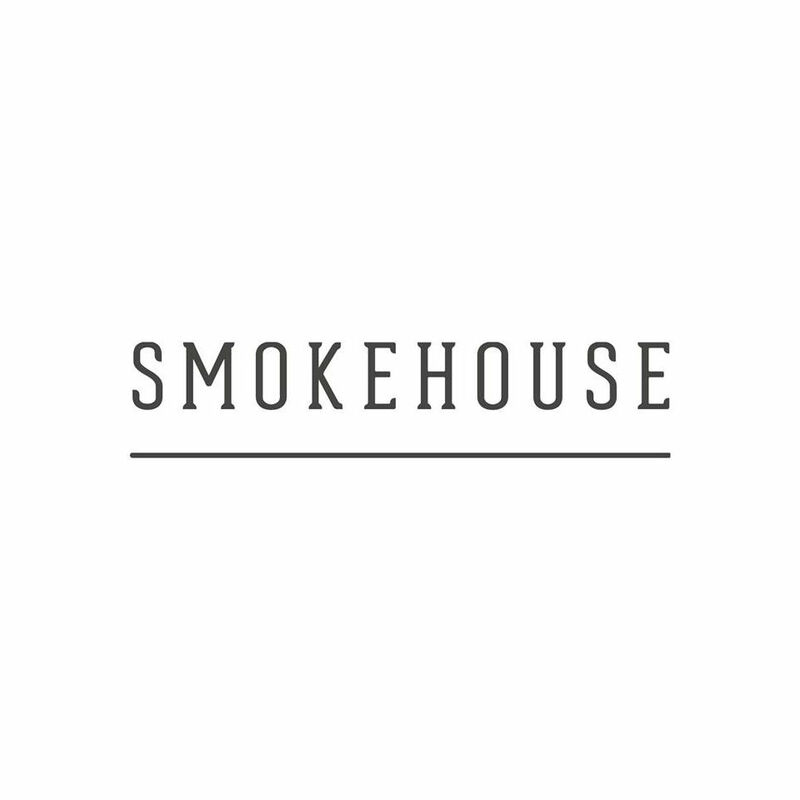 Smokehouse Islington offers some of the best and most original smoked and grilled food in London. 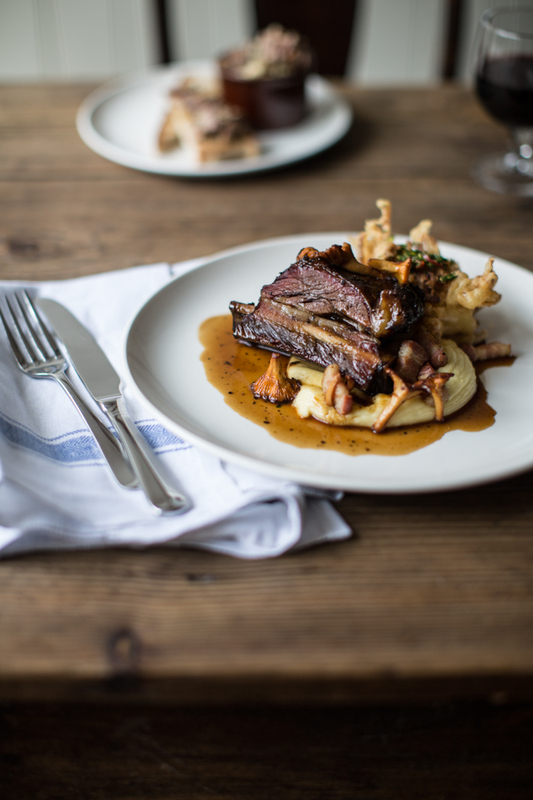 We work with the best farms in the UK and butcher our meat on site to create a specials board bursting with coal-grilled prime cuts and slow-cooked specialties​. 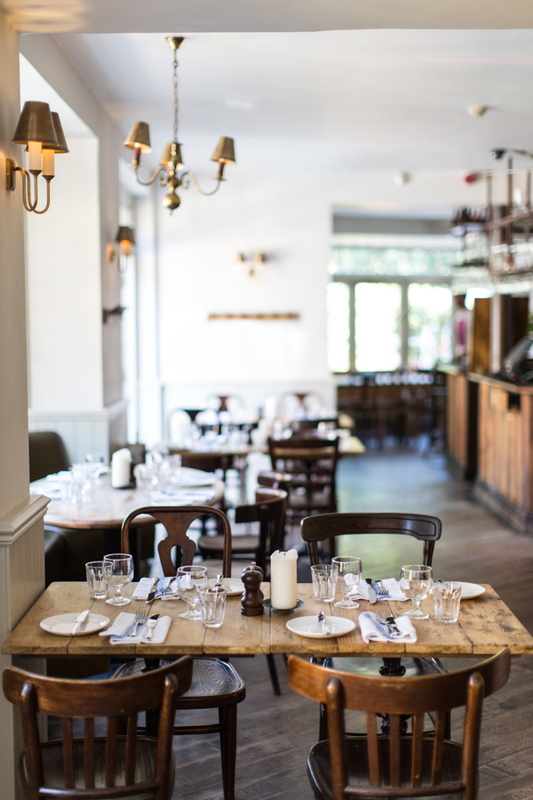 We have one of the most extensive beer lists in London (20 on tap, 60 in the bottle) and source wine from small family-owned vineyards only. 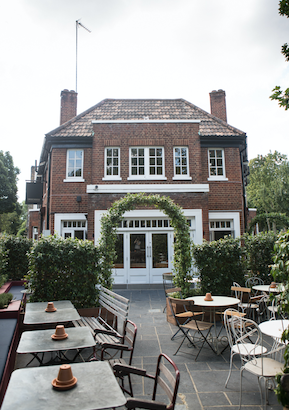 The Smokehouse is one of a small chain of four pubs run by a company called Noble Inns; the others in the group are The Lady Ottoline, The Pig and Butcher and The Princess of Shoreditch. The Smokehouse opened in August 2013 and has recruited as chef Neil Rankin, who had previously cooked at John Salt and before that at Pittcue. Neil was not present on the night of my visit; he was apparently filming a TV series. The dining room is simple, with quite closely packed tables and very low lighting, hence the matching murky photos. Starters ranged from £6 - £12, main courses from £12.50 to £25, side dishes £3.50 to £6 and desserts £5 - £6. The emphasis is very much on cooked meat, as we shall see. The wine list ranged in price from £17.95 to £59.95, with a median price of £29.85 and an average mark-up of 2.9 times retail price, which is quite high for a location outside central London. Example wines were Vina Jaraba Crianza 2008 La Mancha at £25.95 for a wine that you can pick up in the high street for around £8, Pommard ‘Tavannes’ Fernand & Laurent Pillot 2010 Chassagne-Montrachet at £46.95 for a wine that retails at £21, and Nyetimber Rose 2008 at £59.95 compared to a shop price of £42. Chopped brisket roll (£6.50) and gochujang (a Korean condiment made from chilli and soybeans) was fried in breadcrumbs and was a package of meaty goodness, the brisket cooked long enough to be tender, the spiciness coming through but not overwhelming (14/20). Crab on toast (£7) is not exactly a sophisticated dish, but the crab had reasonable flavour and was shell-free (13/20). Foie gras, apple pie and duck egg (£10) was the least impressive of the starters, the liver flavour missing in action (12/20). Short rib bourgignon (£16) was enjoyable, the meat tender and the red wine sauce with it working well with the beef (13/20). Mutton chops (£17.50) came with caponata with ndjua migas (crumbs of spicy pork sausage), anchovies and parsley. This was nicely seasoned and very pleasant, the anchovies providing some balance to the richness of the meat (13/20). 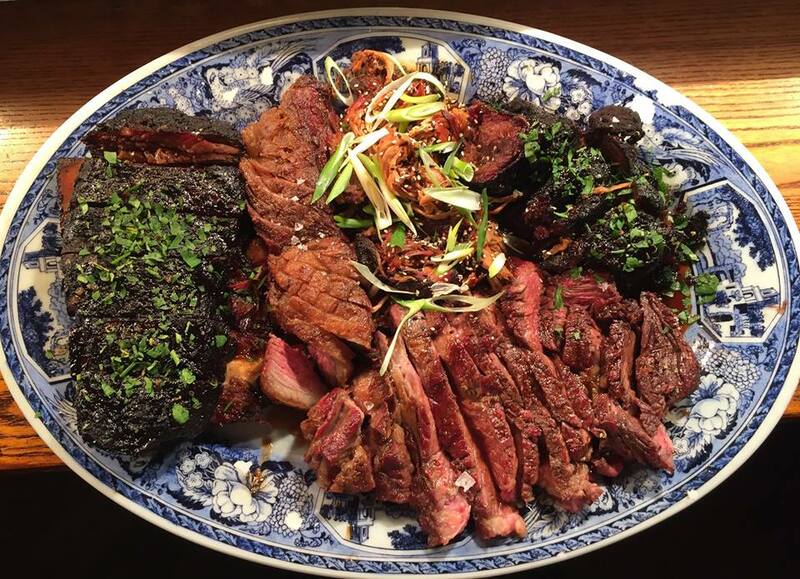 On the side, Korean pulled pork (£5.50) is a speciality of the chef, and it was really excellent and carefully judged in terms of seasoning, a world away from the pale imitations now haunting London’s dining rooms (15/20). Smokehouse salad (£4) had decent leaves and dressing but was pleasant rather than inspiring (12/20). To finish, white chocolate cheesecake (£6) had a good base and just enough white chocolate flavour to come through nicely yet avoid being too rich (13/20). Coffee was harmless enough, though charging the full £3 for refills of a pretty small double espresso seemed mean, given that the cost of each coffee cannot possibly be more than a tenth of this. Service from our Canadian waitress was friendly. The bill, with wine and a post dinner drink, came to £70 a head. If you stuck to three courses with a modest wine a more typical bill with coffee would be around £60 a head. 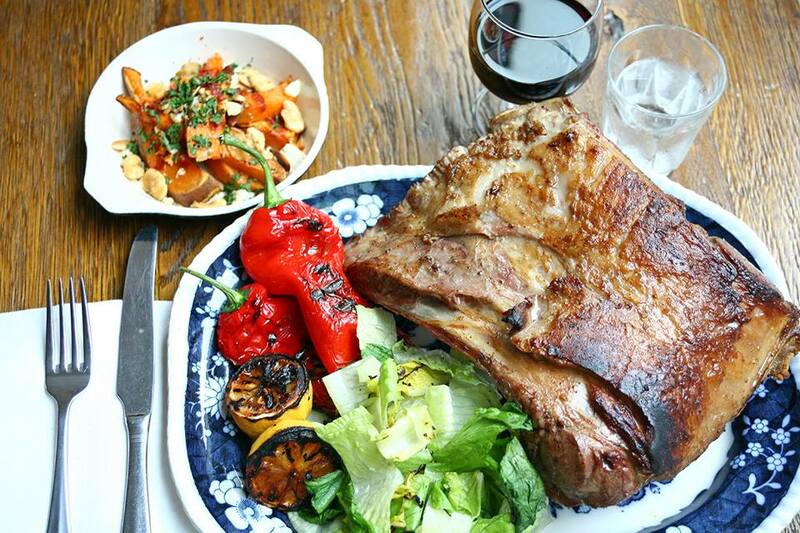 Smokehouse is a very enjoyable place to eat, with a kitchen team that really understand how to cook meat. Food and drink was excellent, but it took us half an hour once we were seated, to get some water on the table. (10 minutes to order it and then 20 minutes for the drinks to arrive, which we had to prompt). Was actually quite disappointed. Food was cold (same as the last time I visited), we asked 3 different people for more water which never materialised, service was slow. The food was nice but not worth what you’re charging. Food was excellent. A little on the pricey side, especially dessert but at least it tasted good! Perfect service, food and atmosphere. The main course portions were way too small and as we didn't order a starter (as 4 out of 5 options were meat which we were having as a main course) we left feeling hungry even after having  had a pudding. So we paid over £90 with a modest bottle of wine feeling taken advantage of. The service however was very good. Friendly, helpful staff. Fabulous bone marrow, perfect pork chop! We SO love this place, and the staff is always terrific. Delightful staff, wonderful food, great atmosphere. We had to leave without ordering food, because the acoustics were so bad we couldn’t hear each other talk. Low ceiling and hard surfaces everywhere meant that even with the place 1/4 full, voices echo loudly and we really struggled to hold a conversation. It’s a shame as the food smelled great. What an amazing Mother’s Day lunch. Smokehouse was busy but the staff made you feel as if you were the only ones there for them to look after :-) brilliant shin of beef I would recommend it for a party what fun it was sharing. Can’t wait to go back. Excellent all around. Great ambience and service! The food is delicious, specially the Sunday roast! Great atmosfier and service, the staff is friedly and profetional! I must admit, I had really high hopes for this place and travelled from Hertfordshire to bring my Mum here for Mother’s Day. It was really busy, as to be expected. Sadly our mains arrived and the food was stone cold. We told someone straight away and they took the food away. The food came back and although the gravy itself was warm, the food, especially the meat was still stone cold. I did tell someone but said i’d carry on eating it as I didn’t want to send it back again because I felt embarrassed. I would have thought that some of the cost of the bill would have been deducted by the staff because to have cold food in a restaurant just really is pretty bad. Also, the food is pretty expensive and to be honest I could have probably gone somewhere for half the price and got hot food! I was so looking forward to lunch here, so really am disappointed. Fab Sunday lunch. Friendly staff. I have been going to the Smokehouse with family and friends for some time now, for the Sunday lunch in particular. I suspect this will be the last time we will go. We thought the meal - whilst tasty, was considerably lacking in reasonable portions. I had four very small slices of beef, very small and more appropriate for a very young child. This was the same for others on my table. Only three tiny potatoes (not particularly well cooked) and two carrots. This happened the last time we went but we thought it was a one-off and forgave it  Considering the cost of the meal overall we were exasperated. Smokehouse portions used to be very generous with a couple or three very large pieces of beef, large potatoes and plenty of vegetables, not just two options. It seemed emptier in there than usual - and given it was Mothering Sunday this was a surprise. Really gone downhill and no longer comparable to other great pubs in North London who recognise the Sunday roast is a generous meal. People were lovely - not their fault. Service was good as usual. Wonderful restaurant. Really nice ambience and lighting. Staff very friendly and helpful. Food was excellent and will be returning again. Great casual dining place. Quality of food excellent. very nice restaurent, good food, good enviroment but the temperaute of the room was too high.